The biggest antelope in the reserve is the Eland which can weigh up to 800 kilograms and is a tan colour with darker patches on its back and shoulders. 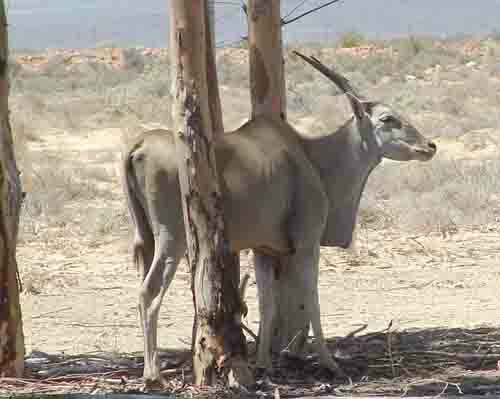 This antelope was revered by the San people who inhabited the Cape before the arrival of the Dutch settlers. Normally found in grassland, mountain, sub-desert, acacia savannah and miombo woodland areas they are quite at home in the reserve where the main vegetation type is the fynbos. At Cape Point we normally find the Eland grazing in the valley just below the car park at the base of the hill leading up to the lighthouse. The second largest antelope in the park is the Bontebok or pied buck. There are a few groups of these antelope scattered around the park and they are normally seen grazing on the sand dunes near the information centre. This antelope has soft hair with an iridescent sheen. The body colour is a deep purple-red with a white blaze on the face and a white tail. The horns are well developed in both sexes and are angular and ringed. A third antelope which seems to be rather shy is the red Hartebeest. It is a large, fawn coloured antelope that is clumsy in appearance with its hump shoulders, sloping back, slim legs and a long, narrow face. It is one of the fastest antelopes in the park. I recently spotted some of them in the newly burnt section of the reserve where the new grasses were just starting to appear. The Cape Mountain zebra is another of the large animals to be found in the park. They tend to stay away from areas where people go so are seldom spotted. 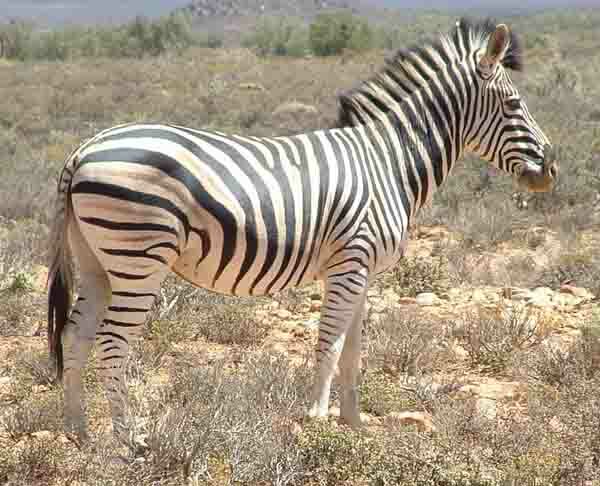 The mountain zebra has a prominent dewlap, a reddish brown nose, a white stomach, a gridiron pattern on the rump and no shadow stripes. The Cape Mountain zebras feed mainly on grass, favouring grasses between 50 and 150 mm in length. Also found in the park are a number of snakes ( 22 different species in all). The most venemous of the snakes are the Cape Cobra, the Puff Adder, the Boomslang, the Rinkhals and the Berg Adder. Of the above list the the snake to watch out for in the veld is the Puff Adder which relies on camouflage to protect itself and will not move if it hears you approaching. All the other snakes unless cornered will try and move away if they hear one approaching. A Cobra's venom attacks the nervous system and consequently a victim of a cobra bite will need medical attention within an hour to ensure that the victim survives the bite. The venom of the Puff Adder attacks the cells and has the same effect as frostbite, the cells around the bite turn black and die. Medical treatment for a puff adder bite is needed within three hours. The Chacma Baboons are the most numerous of the larger animals found in the reserve. There are a number of troops scattered around the Cape Peninsula and in the Good Hope Nature reserve. These baboons are the only baboons in Africa that are protected as numbers have been dwindling rapidly over the past few years. The baboons in the reserve are unique in that they are the only baboons in the world that you will find on the rocks at low tide gathering shellfish and sandhoppers. 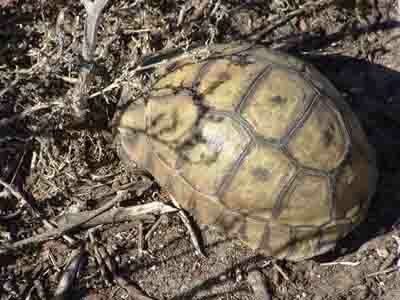 There are a large number of tortoises in the reserve. Some of the tortoises are quite large but are few in number. The most common of the tortoises is the Cape angulate tortoise which prefers the sandy coastal regions with bushveld and fynbos as the preferred habitat. Another tortoise which can be seen in the park is the parrot-beaked tortoise. Mammals not mentioned above but found in the park include the caracal or rooikat, the large-spotted genet, the small-spotted genet and the porcupines. Rock Hyrax, the Cape Clawless Otter and various types of Mongoose can also be spotted in the park. 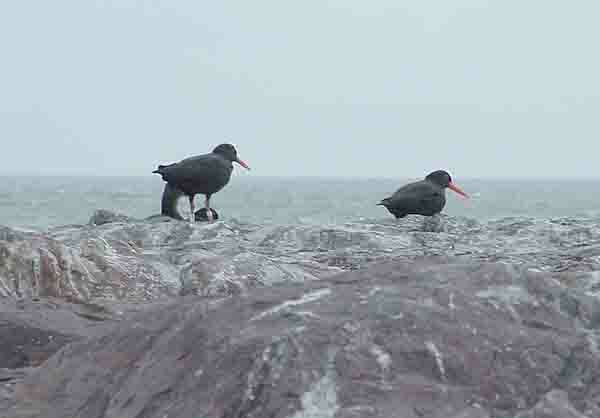 250 different species of birds live in the reserve with sea birds making up a large number of the species. Of all the birds in the park the African Oyster catcher is the most threatened with only about 5000 pairs on the whole of the South African coastline. Interested in nature, then a visit to the Cape of Good Hope is a necessity. Why not join one of our tours next time you visit Cape Town and see some of the animals listed above. It's a great experience for young and old.